Home > Horse Sense > To Grow Horse Racing, Feel Like a Child: Pure, Obsessive Joy. I just heard that, when Suffolk Downs starting gate flung open for the first time in 1935–35,000 people were there for Opening Day. Wow, Suffolk Downs must’ve had a great Facebook page. No doubt, they tweeted every five minutes. Their webmaster was a genius. Their–oh, no. Wait. What’s that, you say? Suffolk Downs got 35,000 human beings onto their new racetrack in 1935, when newspapers, radio and word-of-mouth were the only media available to the masses? How the heck did they do that? How could 35,000 people hear about the opening of a new track without all the modern technologies that lead us by our collective noses in 2014? And further–if people did read the newspaper; listen to the radio or hear it from a neighbor–what motivated them to travel by the T (Boston public transit)–by foot–a few cars–to pilgrimage to the new track? It seems that folks in the 1930s managed to hear about the stuff that mattered to them, and to act on it–all without benefit of being able to text their best friends every 60 seconds. I know, it’s hard for many of you to imagine that. First–it’s hard for too-many people in 2014 to iwrap their heads around the concept, that anyone could communicate without the technologies to which we’ve become addicted. But they could–and they did–and they went out to Suffolk Downs in droves that day in 1935. And they had a great time. They loved, they laughed. They bet–they won, they lost. They smoked unfiltered cigarettes, and drank their bourbon neat. They trekked there on a sweltering July 10th, and got the show of their lives. For many race fans there that day, this was their first time experiencing a horse race, live. Theretofore, they’d seen pictures in newspapers and magazines, and heard the races live via radio. Using only their imaginations, they grew themselves into racing fanatics. They were fans or merely curious before they arrived at Suffolk Downs–and became raging lifer fanatics by the end of the last race on the card. Let’s consider that again Using only their imaginations. Imagination, I believe, should be a vital component of the effort to grow horse racing. Children are known for their imaginations. My Mother always said that you could give a kid the most expensive toy in the world for Christmas–but she’ll end up playing with the box. Children who are left to their own devices–to make their own fun, who are left on their own without too many things to entertain them–learn how to entertain themselves. They are the children who enjoy the most interesting childhoods, IMHO. And who will grow, most likely, to become rocket scientists, artists and visionaries. vision utilized by race fans in the 1930s. To your child, her box/horse and her invisible friend in the behind her on her cardboard steed–are just as real as your house, and you. To race fans who’d only heard a horse race on the radio–their imaginations were the road to the experience. In their mind’s eye, they could see the horses. They could smell them, and feel their enormous presences. They sat ’round the radios in their living rooms, banging on armchairs and screaming their guts out during every race broadcast on any given day. They weren’t lacking anything, for in their minds and hearts–they knew exactly how it felt. So when these fans got to Suffolk Downs on that inaugural day–their hearts must have exploded with anticipation,and excitement. Like children on Christmas Day. 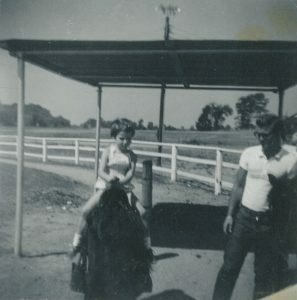 And the first time a child sees a pony: can you remember that first meeting? When first you met a pony, or your daughter or son did? up to hug the pony’s neck. Yes, you do remember that moment–and it was pure, sheer glee. When our heads and all the nonsense in them take second place to our hearts, we are open to profound joy. Race fans in the 1930s didn’t have too-much technology to clutter their minds,and kaka-up their emotional involvement with the sport. They heard–they loved–they went–they loved even more. Race fans in the 1930s–and children. The simple lesson to take away from these two demographics: That horse racing need not be approached as a complicated thing. * Go to the NYRA Open House at beautiful Saratoga Race Course this coming Sunday, July 13th, 11AM – 4PM. Free admission, free parking, lots of free stuff. * Take a kid. If you don’t have access to a kid, walk through those gates with the heart of a child. * Go watch the Pony rides. If you have a child with you, plop that child onto a pony. * Feel the joy, emanating from so many children. Pure. Unedited. Joy. * Go over to the Oklahoma (training track) for 11:30AM, and watch the beautiful Newman E. Wait, Jr. Trials (exhibition races). * Feel that giddy joy as you witness horse racing, stripped of all the non-essentials. Horses. Power. Guts. And your own heart right out there on the track with them. * Leave Open House hours later, a changed human soul. 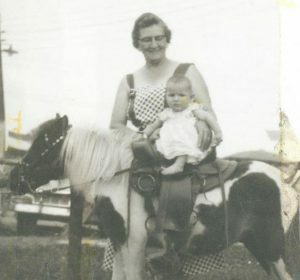 Purely, simply: long before modern technology tried to find ways to anesthetize us,and separate us farther from our connection to Nature–there was The Horse. And there was human emotion. And there were children, showing us how to react honestly and joyfully to the interaction with said Horse. You don’t need a university-full of technology to experience horse racing. In fact, all you need is the willingness to experience the sport in a new way–as a child approaching a pony for the first time. See this in your mind’s eye: The stress of modern life has been lifted. Your jaded view of the world has melted. You are standing at the track, a smile bursting from your innocent face. Like the fans in Massachusetts in 1935, you knew that this day was coming: the day when your imagination married your hopes, and finally you realized the beauty of our sport in its purest incarnation. 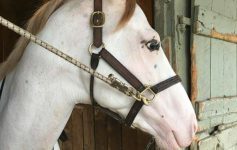 Scream, cry, smile ’til your cheeks ache, for you have allowed yourself to lay bare your spirit, and to love horse racing–really love it–for the pure beauty of it all. You need not say it aloud to feel it: You. Love. 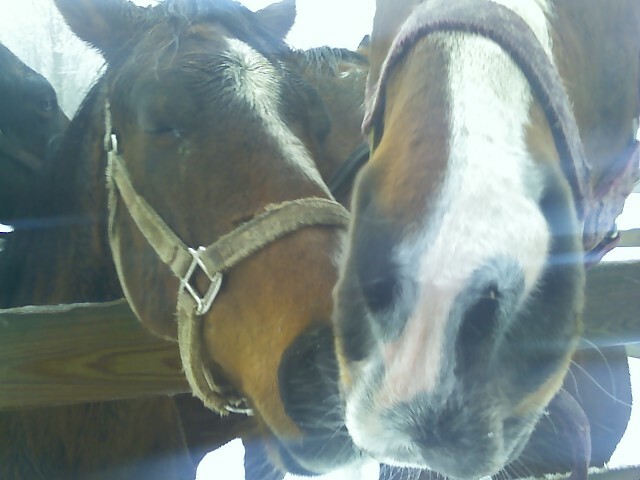 Horsies. Those horsies intuit how to reach into every single human soul–we just must be willing to allow them in. We need only go back in time, stripping away both the trappings of modernism and “adulthood–trading them in for honest imagination and childlike simplicity. Our sport can grow exponentially, once we re-learn both the glee and vision with which we were born. Previous Article The Jockey Club’s Fashionable Fillies Luncheon: Eat, Drink, Bid AND Do Good for Others. Next Article Abigail Adsit: Thoroughbred Trainer on the Rise.